Record label from Minneapolis, MN, USA. 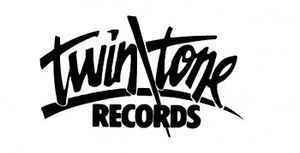 Between 1977 and 1994, Twin/Tone Records released over 300 records. The first project to be released on the Twin/Tone label was a nine song 7" EP (on red vinyl) by The Suburbs in April of 1978. The last project to be released on the Twin/Tone label was a live Suburbs CD released in November of 1994. During this time we worked with over 100 bands and 11 indie labels. We helped over 25 of the bands go on to major labels. TTR 8544 The Slickee Boys Uh Oh ... No Breaks!